In the novel The Plague by Albert Camus, a character named Grand works diligently every night for years on what he hopes will be a great novel. When he finally reveals his work to his friends, however, all he has come up with is the opening sentence, “One fine morning in the month of May an elegant young horsewoman might have been seen riding a handsome sorrel mare along the flowery avenues of the Bois de Boulogne.” Years of work had produced just this one sentence, yet Grand, still not satisfied, tinkers with it throughout the novel — never progressing beyond this first line. Of course this is excessive and absurd, but the opening line of almost anything you write is important enough to merit serious attention. The first words ought to grab your reader immediately. 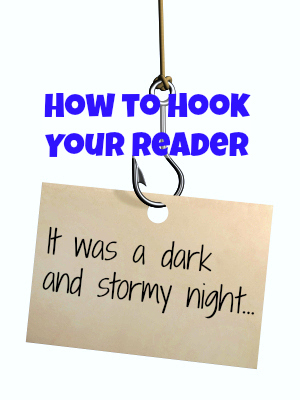 A paper’s opening is referred to as the hook because if it’s done well, the reader is hopelessly snagged — compelled to keep reading. Check out the following strong opening lines from well-known works. I am old now and have not much to fear from the anger of gods. Mr. Tench went out to look for his ether cylinder, into the blazing Mexican sun and the bleaching dust. A few vultures looked down from the roof with shabby indifference; he wasn’t carrion yet. It was a bright, cold day in April, and the clocks were striking thirteen. Gregor Samsa awoke one morning from unsettling dreams to find himself transformed in his bed into a monstrous insect. In 1815, M. Charles Francois-Bienvenu Myriel was Bishop of D—-. In the late summer of that year we lived in a house in a village that looked across the river and the plain to the mountains. Yawn. Somehow, these writers pulled off major successes after these sleep-inducing openers. These are exceptions to the rule, of course. We recommend investing the time into a catchy first sentence — one that catches the eye, sparks the imagination, or arouses curiosity. WriteAtHome students write better. Check out our website! Bloggers love comments. Please let us know what you think in the Reply section below. I like these opening sentences, Will. Obviously, something strange and mysterious is on the horizon. The opening few sentences of Harry Potter and the Sorcerer’s Stone were not that good, but the rest of the chapter eventually more than made up for it.